An astronaut is a person trained by a human spaceflight program to command, pilot, or serve as a crew member of a spacecraft. There are three types of astronauts in the U.S. space program: the commander/pilot, mission specialist, and payload specialist. The commander is responsible for the mission, the crew and the vehicle. The pilot assists the commander in operating the vehicle and deploying satellites. The mission specialist works with the commander and pilots in shuttle operations, performs spacewalks and conducts experiments. The payload specialist performs specialized duties as the mission requires. Payload specialists are people other than NASA personnel, and some are foreign nationals. The education required to become an astronaut includes a bachelor’s degree in mathematics, physical sciences, biological sciences, or engineering. Then it is required to gain three years of related experience after obtaining a bachelor’s degree. A master’s degree equals one year of experience and a doctorate equals three years. Astronauts use math in order to make precise mathematical calculations, from how the spacecraft leaves Earth's atmosphere to how the astronauts pilot the craft. Designers use math to calculate distance, speed, velocity, and their own safety when creating space-faring vehicles. Most U.S. astronauts work for the National Aeronautics and Space Administration (NASA). They live and train at the Lyndon B. Johnson Space Center in Houston. There are many space agencies and programs all over the world but only a few with the capability to have manned space missions. Other than NASA in the United States, the China National Space Administration (CNSP) and the Russian Federal Space Agency (RFSA) have the ability to perform manned space missions. When astronauts fly into space to conduct missions, it is made possible because of precise mathematical calculations, from how the spacecraft leaves Earth's atmosphere to how the astronauts pilot the craft. Designers use math to calculate distance, speed, velocity, and their own safety when creating space-faring vehicles. 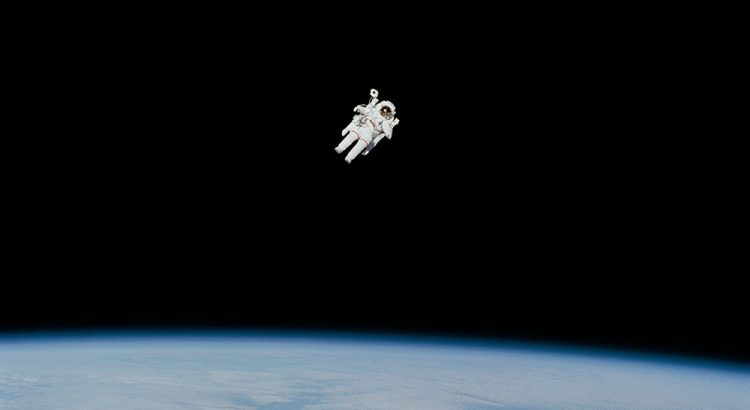 The height requirements of an astronaut are 64 to 76 inches for pilots and 58.5 to 76 inches for mission/payload specialists. To pass the physical exam required to become an astronaut one must have 20/20 vision and his/her blood pressure must be no greater than 140 over 90.